2. When you should lie low - During your Opposite sign - it's exactly six months from your birthday! For Capricorn, that would be when the Sun is in Cancer! 3. Follow the Sun. Every month, the Sun glides through each of the twelve Houses. Want to know yours? The Sun begins your year in Capricorn, your 1st House, then enters Aquarius, your 2nd and so on. 5. Where you might feel restricted, blocked or maybe need a lifeline? It helps, if you have built a solid foundation and practiced the cardinal rule or you might find that lessons need to be learned, possibly even more than you imagined (Saturn) Saturn begins 2018 in your 1st House. This is a big year for Capricorns as you now have two major planets in your 1st House. You are used to Pluto by now but Saturn is a time of maturity, testing, a time when interference runs rampant, personally and professionally. The good news for you, Capricorn is that you are always prepared. You represent the history of time, so you more than most, have learned about deadlines, the value of time and can make these transits easy to navigate if you know how to work with Astrology. I have created a yearly outline that you can use as a reminder of good times, how to work with challenging ones and know when its time to spring into action. 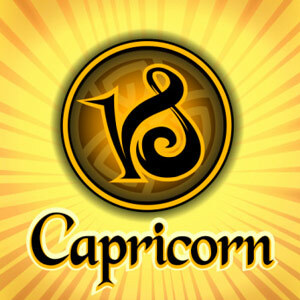 Think big, work hard and act big, Capricorn! You have an authority about you during this time that you might be unaware of. You will be seen as powerful, mysterious and attractive outside but what you feel inside is more important than anything else is. 8. Where you need to take another look; what you might be hiding from yourself or others. This is where information might not be entirely accurate. Take a closer look (Neptune) Neptune in Pisces is all about your self-expression, communication, neighborhood, siblings, short distance travel and also includes gatherings with your neighbors. You could have changed locations, are about to move, embark on a Internet start up. The possibilities are endless but make sure you have the backing that has been promised to you. Not everyone plays fair in business! 9. Where you are slowly but surely seeing a total transformation in your life? (Pluto) Pluto has been touring your 1st House since 2008. It's been a time of trials and tribulations but you have come out wiser in the end for all you have faced. Your appearance could change, you might have given birth, gained and lost weight, changed your appearance or your image changes and physical appearance is attractive during this time but it won't be easy. Kate Middleton is a Capricorn who underwent a major image overhaul... She joined the Royal Family. Pluto in the 1st House is about how your presence, image, your ethics, your boundaries and your appearance come into sharp focus. Matt Lauer is also a Capricorn as was David Bowie, so if you put the pieces together, it's easy to see how the planet of sure but powerful transformation works in different ways for everyone and every chart is different. These three Capricorns to me, sum up the mystery of Pluto, now! The idea here is to tear down and rebuild if you are a Capricorn. 10. When you can make a fresh start.........The New Moon in Capricorn (12/7/18) and whenever the Sun transits your sign, Capricorn. p.s. Belated Happy Birthday! 11. When will you look beyond beautiful to the world? During Venus in Capricorn - until 1/17/18. 12. A Cancer, Scorpio and a Pisces play surprising, helpful and key roles in your life this year.